Living Area: 2040 sq. 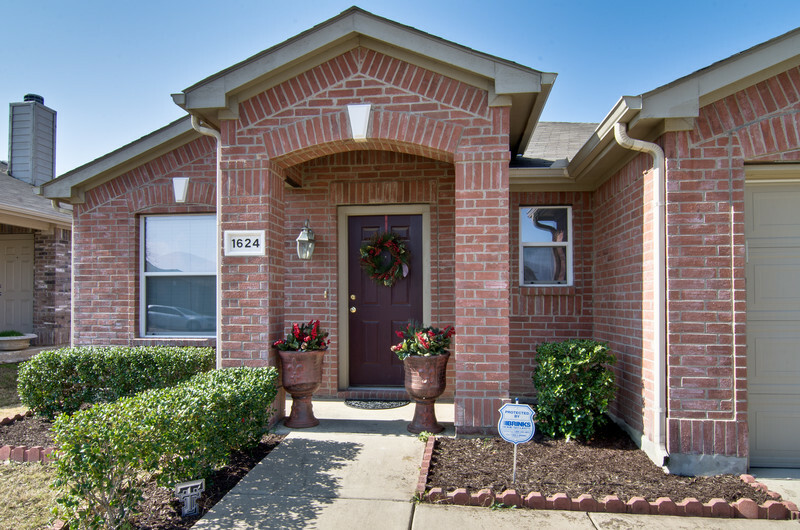 ft.
Beautiful Open Floor Plan - Ready for New Owners Immediately! Beautiful home with Little Elm schools & Frisco mailing address! Large, open floor plan with gleaming hardwods in entry, kitchen & breakfast nook. Huge kitchen with island & breakfast bar, & tons of cabinets & counterspace! Split bedrooms with giant master (bath has dual sinks) & secondary bedrooms that each hold a queen bed with room to spare! Large extra storage closet too! Designer paint colors, wonderful drive-up and meticulously maintained. Stainless refrigerator shown in kitchen photos conveys with acceptable offer. All updated light fixtures and ceiling fans added to every room. 10x20 concrete slab patio in backyard.